Stampede Wind Tamer chrome sunroof wind deflector looks great and always comes in handy. Let the clear blue sky in yet keep all the annoying wind out with a Stampede chrome sunroof wind deflector. This sunroof defector eliminates wind noise, drafts, and turbulence from getting in through your sunroof. The chrome finish is ultra-shiny and adds the right amount of bling. The three available sizes are crafted to fit a vast majority of the vehicles on the road today. 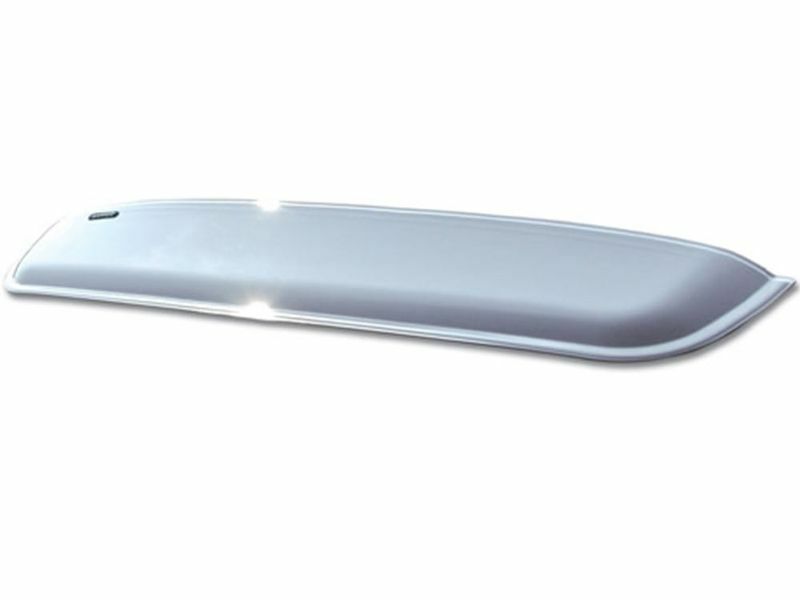 Constructed from high impact acrylic, the chrome sunroof visor will not fade, crack, or warp. Every sunroof air deflector has been molded with the right amount of contour to best re-direct the airflow. The low profile design keeps your vehicle aerodynamic and looking sleek. Get the perfect amount of sun shine in your vehicle and brighten your day while keeping the nasty cool wind out with the Stampede chrome sunroof wind deflector. Please Note: Sunroof Deflector should be 1-2 inches wider than sunroof. Stampede chrome sunroof deflectors are offering a one year warranty against defects in materials or workmanship. The Stampede chrome sunroof wind deflectors have an easy at home installation. Simply clean off applicable area on your vehicle and apply with the provided 3M tape. There is an installation manual that is sent with the product with clear cut, easy to read instructions. For additional information, please call us at 1-877-216-5446 or 701-253-5906.